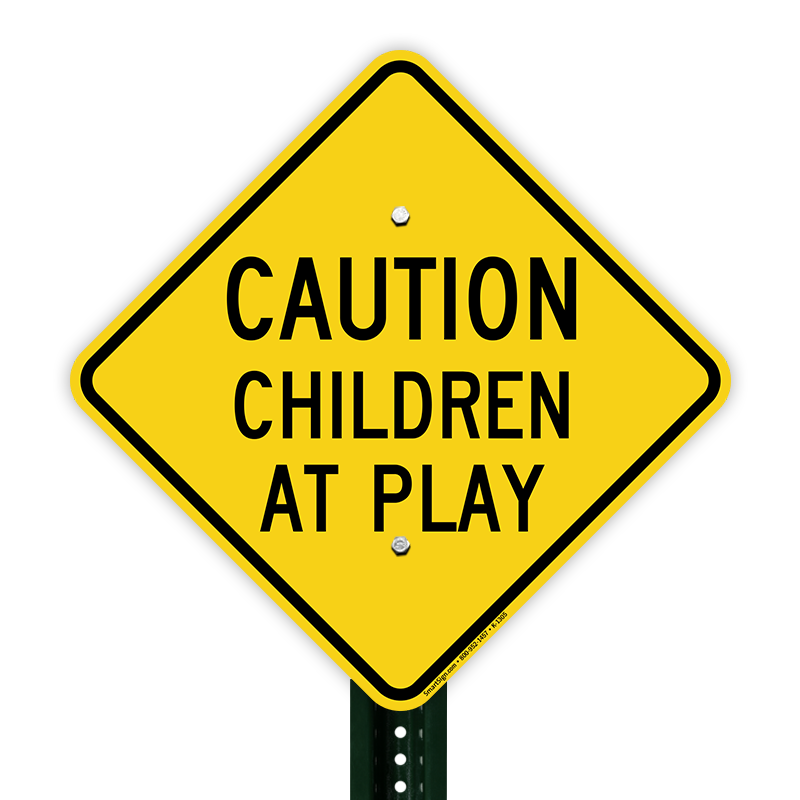 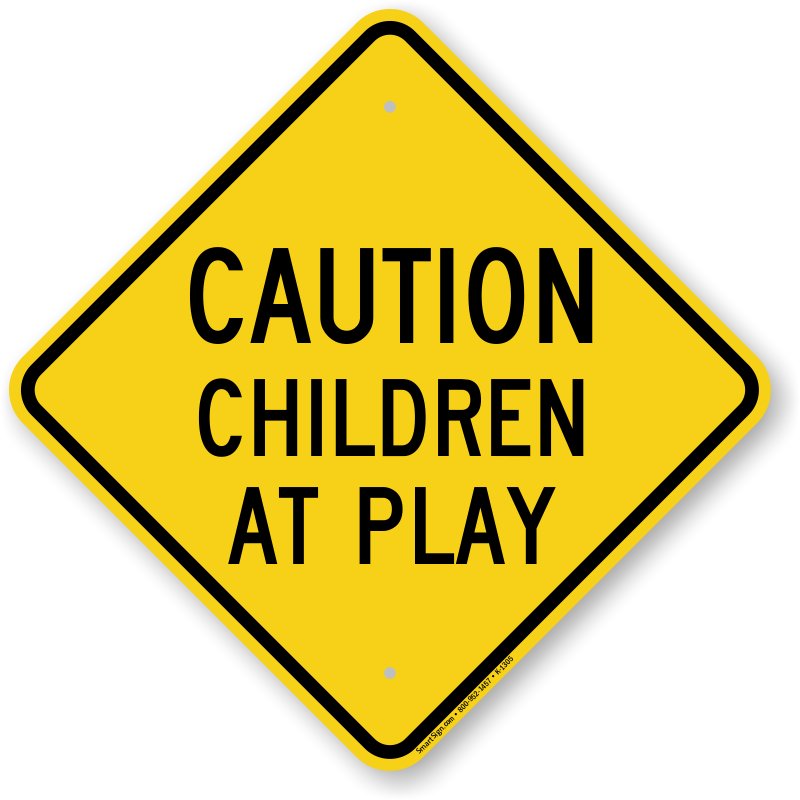 Help save children's lives by installing a Caution Children At Play sign. 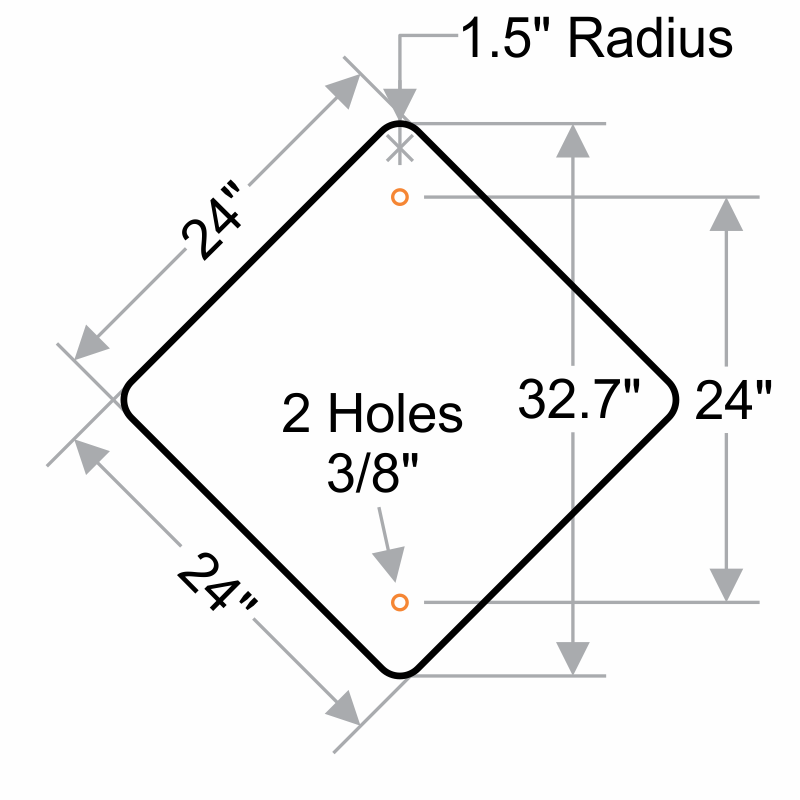 • Aluminum is rigid and durable and will not rust. 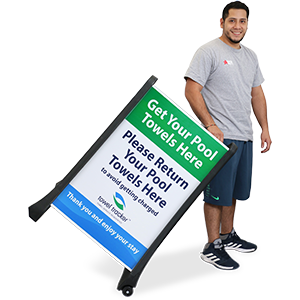 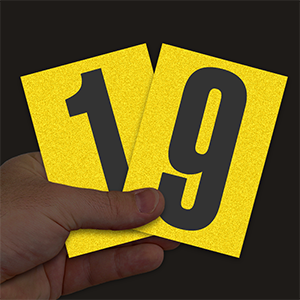 • Convenient "mini" signs are made from aluminum with a reflective film. 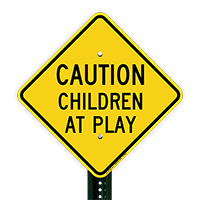 • Children are always running into streets to catch a ball that has rolled away from them or chase a balloon that has slipped from their hands. 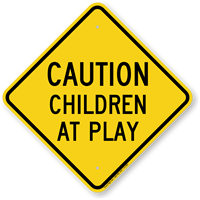 It is for this reason that drivers must take caution especially when they see this sign. 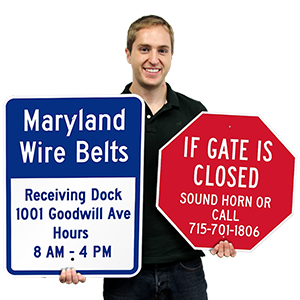 • Sign is not listed in the MUTCD and is not used on public roads. 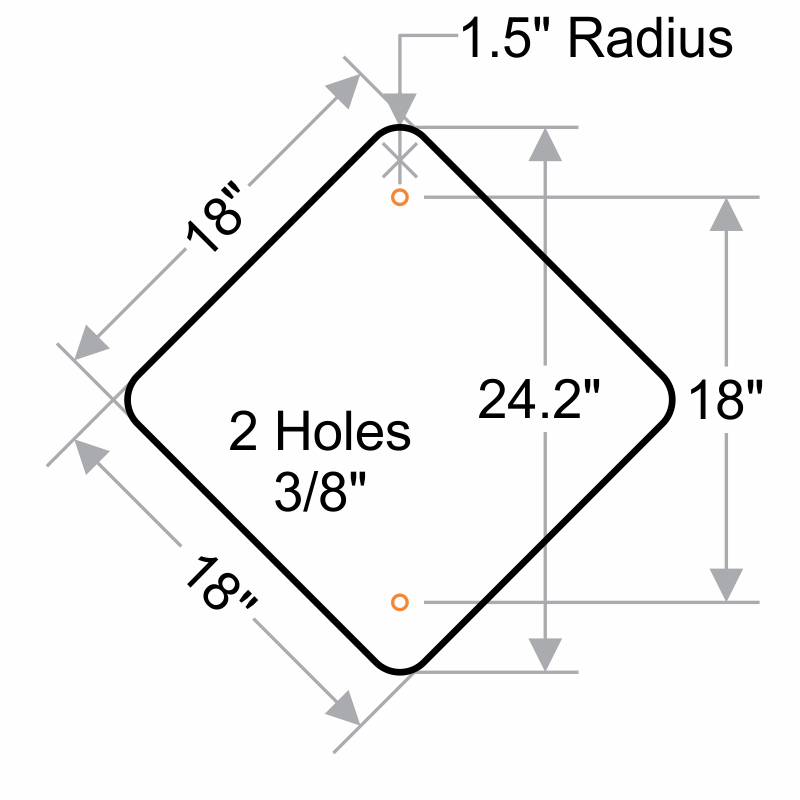 Great quality and quick shipping.